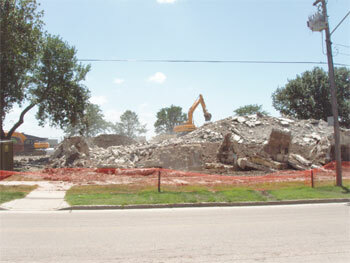 This project included the abatement of ACM and universal wastes followed by the demolition of 120,000 square feet of structures including 3-story barracks constructed of concrete and block (due to their unique construction generally referred to as “Hammerhead Barracks”). Throughout the duration of the project we have recycled over 95% of the former construction materials thereby offsetting some of the project costs while also reducing waste materials requiring disposal. The project in less than 180 days at a project cost of $580,000.